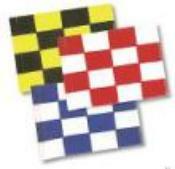 Checkered golf flags; tube-lock style. 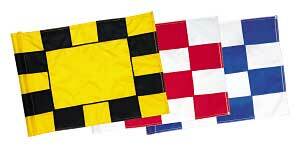 Open Center flags have center size of 11" x 8"
Open Center flags are priced at an additional $15.00. These can also be embroidered or screen printed. Please call to discuss.